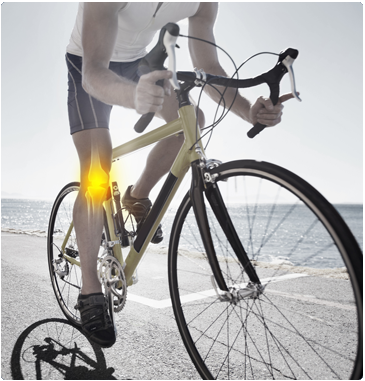 Physically active people are especially susceptible to orthopaedic problems. Whether you’re a seasoned athlete or just starting out, Spectrum Orthopaedics in North Canton, Ohio can help you. Our doctors have advanced training in the specialty of sports medicine, and they offer the latest treatments, including arthroscopic surgery. Our goal is to accurately diagnose your problem and give you the precise care you need. The type of injury you sustain as an athlete often depends on the sport involved. For example, athletes who participate in contact or high-impact sports such as football, hockey, basketball, or gymnastics are more likely to suffer from torn ligaments and tendons or broken bones. Athletes who participate in endurance sports such as running, swimming, tennis, golf, or baseball (pitching) are susceptible to overuse and repetitive stress injuries such as tendonitis or nerve entrapment. Not only can we help you heal, we can offer you advice on how to improve your performance, too. And with on-site physical rehabilitation, we make it convenient to complete your recovery. For specialized orthopaedic care, call Spectrum Orthopaedics today at (330) 305-0838 or for a consultation, use our online appointment request form.